It’s really big, it’s blue, and those from the Southside can drive over a new bridge to get there. Its Canberra’s Ikea Store. Let’s be clear about this, there is almost nothing in this Ikea that separates it from other Ikea stores. Sure, there are some cool facts (the store is 25,000sqm in size, the dining room seats 380 people, there is over 1900 solar panels to run the entire operation during summer), but that’s kind of a footnote as to what is really going on here. 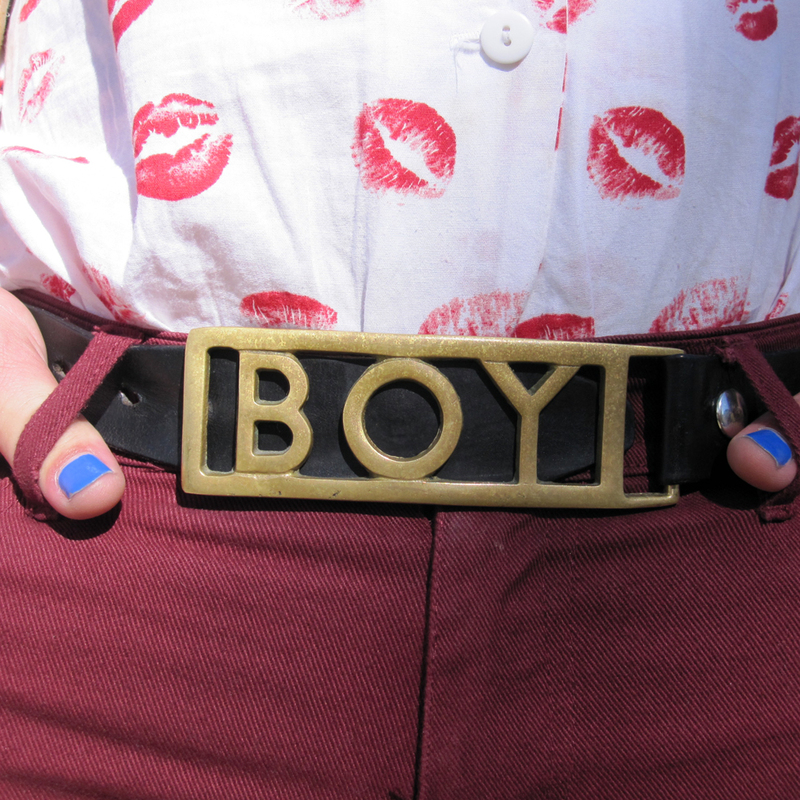 We found Nathan outside the Vintage Love Show having a quick ciggie and break from his clothing stall. Nathan was travelling with the show. From afar we saw the green hair… then the tropical jacket… then the black suede shoes… and, as we got closer realised that every single item he wore was striking and seemed full of character. Quite a bit, it would appear. Update (1.00pm Wednesday 14 March): The organisers have emailed to let us know a change of date has occurred since the original press release was distributed. It’s now Wednesday 21 March as advertised in the flyer below. Wednesday 21 March sees the launch of a somewhat different project for the cheeky, little inner-city bar. Rather than just a venue for selling fine quality liquor, the lads have instigated ourclothes.com.au with an eye to (we imagine) engaging local artists, brand developers and fashion designers to enhance the sartorial standards of the local citizens. This clip been on YouTube for a few months now, but if you haven’t come across this before, model and designer Irina Zvidrina takes a single men’s shirt and reinterprets it into some fabulous outfits. Creative, clever and very wearable. Enjoy! The Canberran was rather disgusted by a failed attempt a lunch to photograph some well-dressed lads and lasses on a perfectly fine Spring day. An hour was spent circling the Inner City, but it seemed no one in Canberra could be bothered putting in any effort whatsoever. As a result, this edition of Fashion Circle becomes a rant. Let’s hope tomorrow bears at least some fruit – surely there is more than just Anneta, Alyce and Patrick to show us how it’s done. 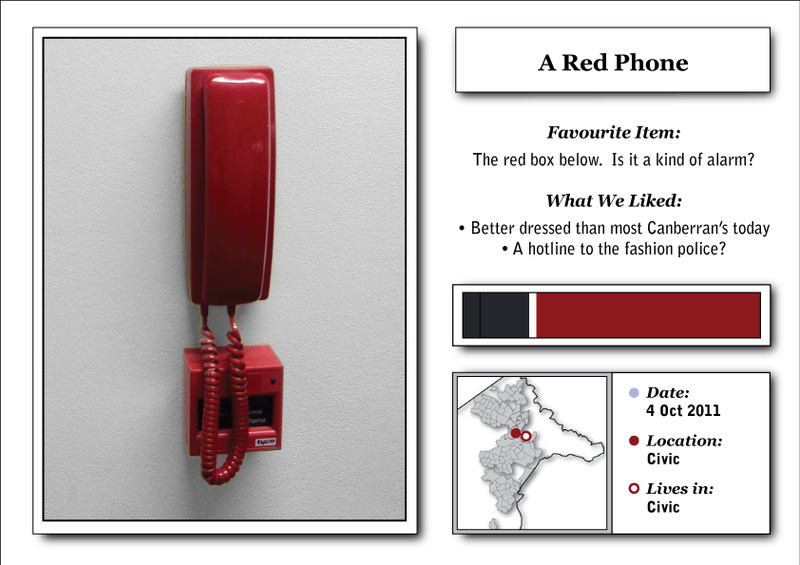 So, in protest, I am featuring this red emergency phone. Even though inanimate state, it appears to have put in more effort than half the population. The drizzling rain made for a wet ride into the city. Somehow, I don’t think my arrival is going to be as elegant as The Canberran might have hoped. On this dreary winter morning I was in search of a recently revamped venue – Two Before Ten. Formerly Enter Café, owner and operator Jarrod Deaton has tried to build on what was a fairly competent venue, this time offering a more bespoke feel with the help of passionate contributions from near and afar. 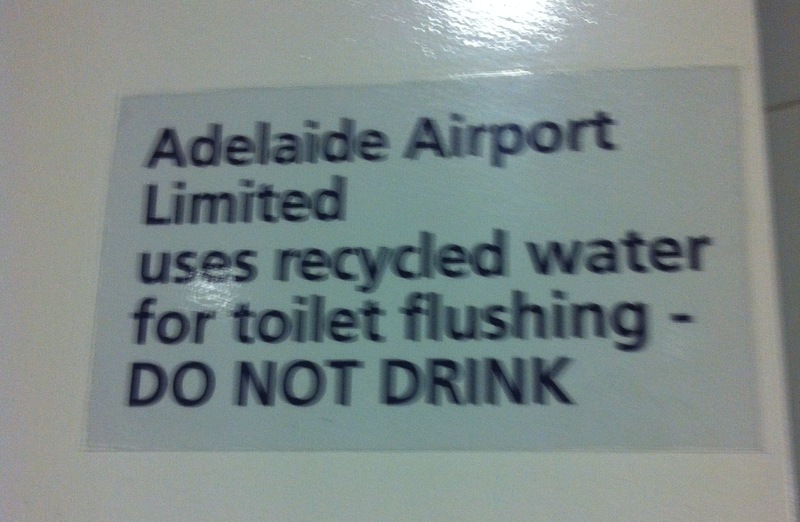 Sighted in the bathrooms at Adelaide Airport.